Birmingham sees one of its bus routes scrapped after being attacked repeatedly by false crash accusations, some involving “victims” that were not even on the bus at the time of a collision. The bus company Central Buses, has fallen victim to 15 insurance accusations in just 2 years, and has been forced to eliminate the route between Small Heath and Ward End. One accident involved a motorbike that braked sharply in front of the bus, and despite damage amounting to just £500 in repairs, the company ended up paying out £25,000 just to avoid the costs of fighting each case in court. The city has become one of the most targeted in terms of fraudulent claims involving accidents, with six postcodes in the ten districts rating highest for this type of crime, involving staged crashes between vehicles in order to claim for whiplash and any damage to the vehicles involved. Charity Crimestoppers has now labelled Birmingham “crash for cash capital” based on insurance data. Central Buses Managing Director Geoff Cross, said it should be made mandatory to pay a £50 bond before taking any legal action for RTA’s, in order to make fraudsters think twice about lodging bogus claims. The most serious accident occurred in Alum Rock. A driver was reportedly seen driving extremely erratically, and then to have braked suddenly in front of a bus. Although the busdriver slammed his brakes on, he was unable to avoid a crash, and despite there only having been 2 passenger onboard, they recieved 15 claims for injuries. With the No-Win-No-Fee regulations of many claims, fraudsters have nothing to lose. Companies are forced to pay out costs because the costs of going to court would be “astronomical”. As a result, they have been forced to attach CCTV cameras to the front of their buses in order to deter false claims. 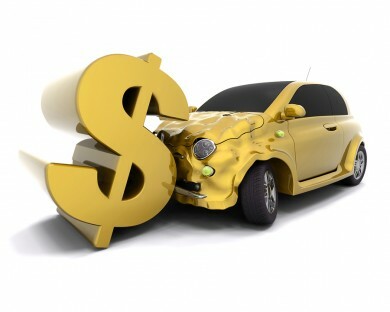 The Insurance Fraud Bureau estimates the annual cost of crash for cash scams is £392 million!